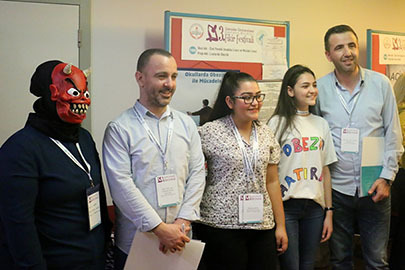 In the 3rd Behavioral Sciences Festival of Ideas organized with cooperation of Üsküdar University and İstanbul Provincial Directorate of National Education, high school students competed with ideas that will change the world in a fun environment. In Life Sciences and Health Sciences “kit that identify poisonous mushrooms” project and in Social Sciences “The act of increasing success of a child and improving family structure” project took the first place awards. 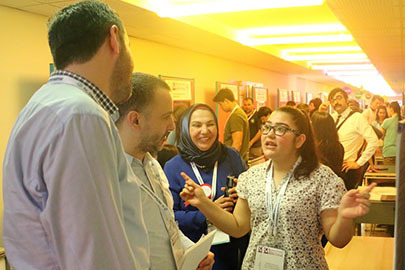 Üsküdar University, with an organization supported by the Ministry of National Education brought high school students together for the third time at festival of ideas. 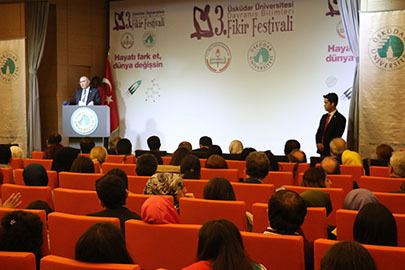 Behavioral Sciences Festival of Ideas, the only ideas festival of Turkey, was realized with cooperation of Üsküdar University and İstanbul Provincial Directorate of National Education. 226 project from the 84 schools competed at the festival. 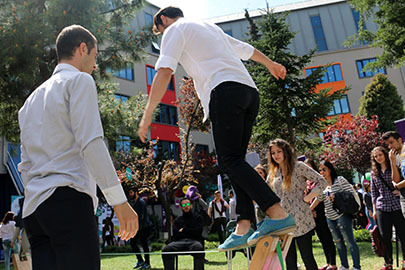 High school students who lived the thrill of competition at the Üsküdar University Çarşı Campus had a colorful and memorable day. 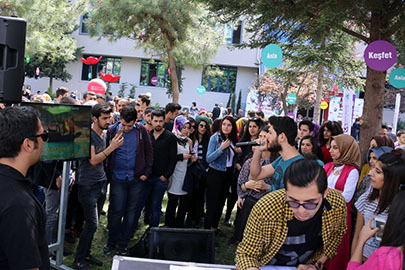 Students who presented their projects under the title of “Notice life, change the world” joined in the games watched the concerts that are performed within the scope of the festival. The winning projects were announced at the awards ceremony at the end of the day. 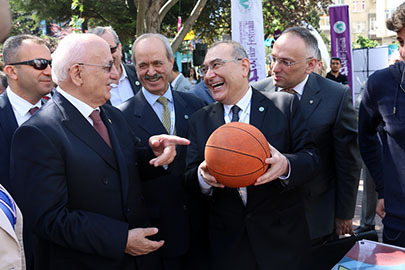 Chairman of the Parliament İsmail Kahraman, Deputy Minister of Science, Industry and Technology Assoc. Prof. Hasan Ali Çelik, Deputy Undersecretary of The Ministry of National Education Dr. Muammer Yıldız, Deputy Undersecretary of the Ministry of Family and Social Policies Ayşe Kardaş, Istanbul Provincial Director of National Education Ömer Faruk Yelkenci and teachers and students of the competing high schools attended the award ceremony of the festival. 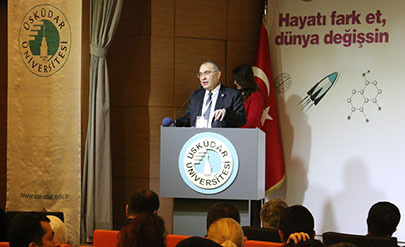 Istanbul Provincial Director of National Education Ömer Faruk Yelkenci stated that human is a multi-faceted entity, and drew attention to the importance of cognitive, social, emotional and cultural development in producing science. 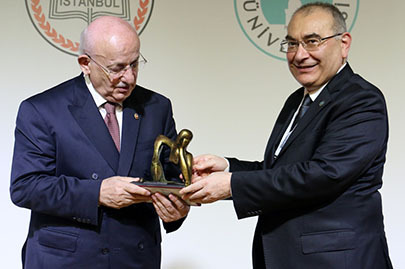 Deputy Governor of Istanbul Ahmet Hamdi Usta said that some popular discourses—such as ‘Don’t come up with ideas, don’t bring new tricks to old dogs’—need to be changed in Turkey; and continued: “We need to format ourselves”. 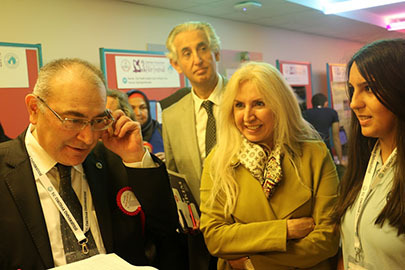 Deputy Undersecretary of The Ministry of National Education Dr. Muammer Yıldız drew attention to the importance of the festival, and said that they will work on obtaining patents and production of the winning projects. Deputy Minister of Science, Industry and Technology Assoc. Prof. Hasan Ali Çelik reminded that they, as the ministry, always stand by the young people. Çelik said, “With the support of TÜBİTAK and KOSGEB, we give those whose project received patent entrepreneurship support up to 10 million”. Successful projects were awarded at the festival. In Life Sciences and Health Sciences, Deniz Dereli and Eda Küçükgüven from Istanbul Ataturk Science High School received the first prize with their project “Practical Kit Construction with Card Test Method for The Detection of Poisonous Mushrooms Containing Alfa Amanitin. Işılay Ayan and Gamze Nur Kosovalı from Cağaloğlu Anadolu High School and Samiha Ayverdi Anadolu High School in the name of Bayrampaşa Science Center with “Proliferation Effect of Rosemary in Human Endometrial Adenocarcinoma Cells” took second place in the same category. Dilan Mergen and İlayda Akyalçın from Private Esenler Sınav High School with “The Examination of Usability of Linseed as an Alternative Thickener to Gelatin” took second place in the same category. 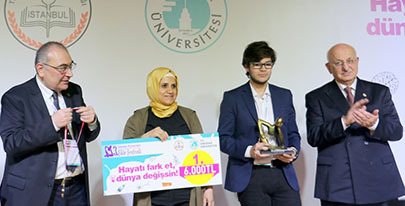 In Social Sciences, Orçun Samet Şentür from Sakarya Cemil Meriç Social Sciences High School with “The Act of Increasing Success of a Child and Improving Family Structure” received the first prize. Ceren Zeynep Özkahraman from Private Gaziosmanpaşa Şefkat Anadolu and Science High School with “Let’s Sing Folk Songs in the School” took second place. Ferhat Evin, Zeynep Örenç, Ayşe Betül Akbaş and Doruk Özcan from Fatih Gelenbevi Anadolu High School “Touching History” took the third place. 11 honorable mention awards were given in both categories. İrem Şenlioğlu and Hilal Aydın from Ümraniye Halide Edip Mesleki ve Teknik Anadolu High School “I Want To Eat From The Bough”, Güner Ecem Bektaş and Ebrar Biryan from Sakarya Cemil Meriç Sosyal Bilimler High School “Psychological War”, İrem Ece Mankırcı and Elif İşler from Private Asfa Ahmet Mithat Anadolu High School “If Trees Could Talk”, Mehmet Kiriş from Fatih Gelenbevi Anadolu High School “Accident Precursor”, Yağmur Kumsal Karakelle from Beykoz Anadoluhisarı Mesleki ve Teknik Anadolu High School “Garbage Museum”. In both categories, namely Life Sciences and Health Sciences and Social Sciencies, Successful Project Award for 1st prize winning student was 6 thousand TL, for 2nd 4 thousan TL, for 3rd 2 thousand TL, for 4th-14th 500 TL. Additionally, project consultants of the winners received additional awards, half of the winning prize. Üsküdar University Behavioral Sciences Festival of Ideas is open for all kinds of scientific and intellectual production of the 9- 10- 11- 12th grade students under the guidance of guidance counselor, project consultants and branch teachers. High school students attended with their projects to the festival organized with the aim of promoting science to high school students and supporting their ideas.